The next step is to integrate payors into new drug approvals. Many payors will not reimburse for newer therapies due to higher costs for recently developed drugs. Patent law protects developers for 16 years in order that Pharma companies can recoup their cost for R & D.
Getting the FDA to approve drugs faster is seen as one way to get the access that many patients and their families want. Vice President Pence and many other legislators seem to have been persuaded that the FDA is the roadblock. It isn’t. The real barrier is payers of prescription drug benefits, such as health insurance companies and self-insured employers. 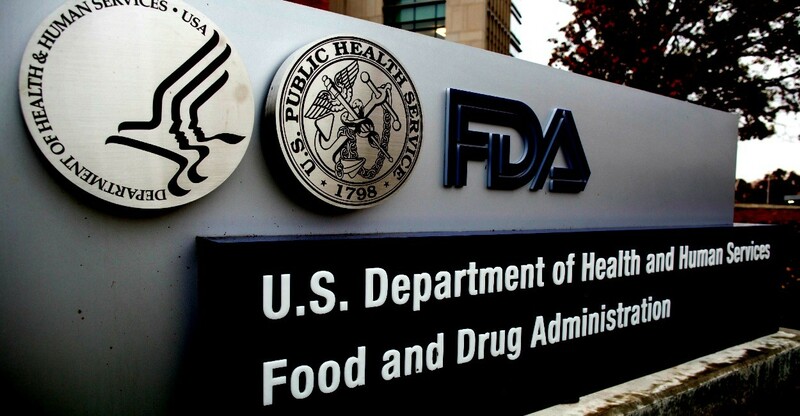 The premise that the FDA needs to speed things up worked in the late 1980s when AIDS activists and cancer groups successfully pressured the FDA to make the drug approval process faster. But this won’t work today because payers, which weren’t nearly as influential 30 years ago, now regulate access to drugs. To speed access to new treatments, then, groups need to incorporate payers into their strategies. Payers of prescription drug benefits have become crucial in controlling access to drugs over the last three decades. During that time, tens of millions of people gained coverage for prescription drugs. This has improved access to drugs for those with coverage. But it has also taken the decisions that individual patients once made about whether or not to pay for prescriptions and aggregated them under the authority of payers. Payers make decisions that balance the needs of the covered group as a whole against their organizational objectives, rather than focusing on individual patient situations. Coverage for the group often comes at the cost of an individual patient. In the early days of prescription drug coverage, payers mostly paid the bills as pharmacies submitted them. But as prescription drug benefit plan costs soared from expanding use and escalating prices, payers began narrowing coverage policies and applying aggressive utilization oversight. Now payers are demanding evidence of drug safety and effectiveness that goes far beyond what the FDA requires for market approval as a basis for prescription drug coverage. 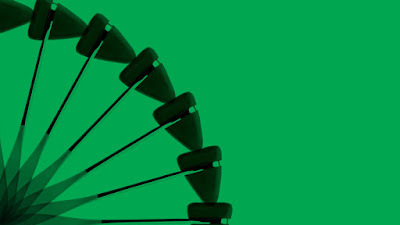 Groups looking to speed access to new therapies need to work with payers to identify clinical benefits and economic value at the same time that they push for rapid regulatory approval. This is not easy during the pre-approval, clinical trial period. However, patient groups and pharmaceutical developers could use their expanded access programs and patient registries to generate the evidence that payers need to evaluate new drugs. Access to new treatments will not improve just by beating on the FDA. It will mean cooperating with payers, too. This places the burden for proof of efficacy and cost effectiveness on the patient and the providers. Perhaps this is a new focus for Patient Prescription Advocacy . This source of information goes into great deal about the approval process. The Affordable Care Act is at a crossroad. Repeal or Amend ? Those are terms which require explanation. To repeal the act without a replacement would be a disaster and tragic for many who have learned how to enter the system. If that were to be jerked away from them it would be premeditated disregard and further increase mistrust in our government. Knowledgable health professionals would agree the act needs to be significantly amended. This is very possible and most likely. Many acts and laws have been amended in the past. Our current political divide near 50/50 with representatives voting along party lines make the task more difficult than it could be. As the debate over the repeal of the Affordable Care Act (ACA) evolves, CHCF will maintain a list of data resources and emerging analyses, from CHCF and other organizations, on the potential impact on California. This list is organized by the potential impact of ACA repeal on coverage, economic indicators and health care spending, and insurance market regulations, although some resources span multiple categories. Within each category, resources are organized chronologically. Our entire health system is a gordian knot of complexity and confounding regulations. It will be a challenge to unravel it without disturbing many sections that work quite well. The most likely early amendments will be eliminating the individual mandate. which is a . tax penalty for non-enrollment in an approved plan. And despite the law many . people have been granted an exemption for . financial reasons. The law is quite arbitrary, black and white and does not allow for many who have extenuating financial or health concerns. During this time of uncertaintly in health care it is important to identify if a medical career is a goal you or your children wish to pursue. Early decision will make it somewhat easier to decide on the path. When choosing, most individuals do not know what specialty to chose. Choosing your career is always difficult – but with many medical careers overlapping in the types of patients they deal with or the locations they work in, budding health professionals really have their work cut out for them. So what should you consider if you’re deciding between two roles? One of the biggest and most crucial steps in your journey through the health industry is studying for your college degree. If you get a good feeling about a particular subject, chances are you’ll love the job it leads you to. If you’re unsure whether to become a physician assistant or a doctor, for example, consider the fact that PA qualifications can be as short as two years while medical degrees are far longer. How long would you like to spend in education, and does the course content seem like a good fit for you? Another very effective litmus test for your future medical career is to get some work experience. Not only do internships and shadowing placements give you something great to speak about in interviews or on your college application, it also gives you the chance to see the reality of your chosen role. Want to speak to someone about the stresses of the job, the training and the night shifts? Speak to someone who’s in that position right now, and ask them about the key differences between the roles. The world of healthcare is extremely varied and interesting. Depending on your qualifications, you could find yourself working on a cruise ship, at a school or abroad – the options for healthcare professionals are practically limitless! Focus on the huge possibilities of your future health career, and we’re sure you’ll find a role that makes you jump out of bed in the morning. 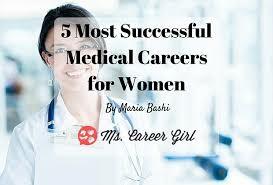 Advice for girls and women interested in surgical careers. In most cases surgical careers are much more demanding of time and commitment, during training and into practice.. Surgery is a demanding career. Do it if you can’t imagine doing anything else. But, if you have the passion, the tolerance for the hard work and the long hours, you will be rewarded by transforming lives. There are still many challenges to overcome, such as improving work life balance and making childbearing easier for women surgeons. But as I think back on Elizabeth Blackwell, I am heartened that change will come so that the field is truly welcoming to any woman who wants to become a plastic surgeon, have children and maintain a happy marriage. Physician's Assistant, Laboratory technician, Nurse practitioner, Nurse, Radiology technician, Pharmacy technician, or Pharmacist. All of these occupations require less time and education. 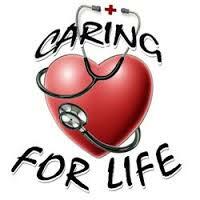 It is a good time to enter the health professions. Despite what you hear it is an exciting area to work in. Motivation as to why you chose a particular field is important. Perhaps the most is your interest and curiosity about the subject. The US Food and Drug Administration (FDA) has been the standard of drug regulation worldwide for decades. In 1962, in response to the thalidomide tragedy, Congress directed the FDA to evaluate the effectiveness of drugs based on “adequate and well-controlled investigations, including clinical investigations” conducted by qualified experts. Backed by this congressional enactment, the FDA crafted groundbreaking administrative regulations (eg, the requirements of a prespecified protocol, placebo or active controls, the phasing of clinical investigations, and informed consent from patients) that have guided the global clinical trial enterprise ever since.1 The FDA’s regulations revolutionized the evaluation of drugs in the United States and abroad. he EMA adopted policy No. 0070 to achieve the goals of “better informed use of medicines” and “to make medicine development more efficient” by allowing researchers to “learn from past successes and failures.” The EMA concluded that disclosure of detailed clinical data would enable the development of “new knowledge in the interest of public health.” Whether policy No. 0070 will achieve these goals is an unproven hypothesis, but, by publishing clinical study reports, the EMA has arranged a form of natural experiment that should allow an estimate of the actual benefit, if any, from its new policy. However, policy No. 0070 faces legal uncertainty. In July 2016, the EU General Court issued an interim injunction that has the potential to undermine or reverse that policy.7 In that case, PTC Therapeutics submitted to the EMA a clinical study report of a phase 2 controlled efficacy study of ataluren for the treatment of Duchenne muscular dystrophy. Based on that clinical study report, the EMA conditionally approved ataluren in July 2014. Another unidentified pharmaceutical company requested a copy of the ataluren clinical study report. The EMA offered to redact several portions of the clinical study report, but PTC Therapeutics took the position that the entire clinical study report was confidential commercial information.The challenge the FDA must confront is that the clinical study reports submitted in support of drug marketing applications in the United States are basically the same as in the European Union.8 The FDA currently considers clinical data to be confidential commercial information, whereas the EMA does not. The EMA’s policy No. 0070—if it survives the current legal case with PTC Therapeutics—could lead to the anomaly that the EMA proactively publishes clinical study reports online (after decisions are made regarding marketing authorization applications), whereas the FDA withholds the same or similar clinical study reports. Despite the importance of this issue to public health, in neither the United States nor the European Union is there yet clear legal authority on whether clinical study reports should be made public and, if so, under what conditions. A recent survey of over 3,000 brand name prescription medications found that prices have more than doubled for over 60 drugs since 2014. As the prices of prescription medications continue to rise, physicians have a responsibility to educate their patients. TruthinRx.org allows patients to learn who controls the prices of their medications and why those prices are increasing. The interactive site provides facts, informational resources and ways that you and your patients can take action to increase drug price transparency. Have you ever notice the difference in charges for a cash paying customer at the pharmacy ? Do you have one of those generic Rx Discount Cards ? 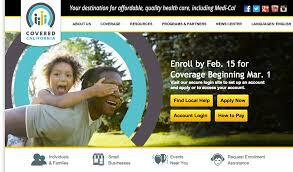 Does your healthplan get bulk rates ? Why is a mailorder pharmacy less expensive, and why do some healthplans offer a no copay plan if you order through their own mail order plan ? Let's do a deepdyve into these questions. Prescription medications aren’t like other consumer products. Like food, shelter, and water, they can be a matter of life or death. Yet, patients are left in the dark as to why the price of medicine and their out-of-pocket costs are rising. The costs of prescription drugs are often negotiated by drug players who aren’t required to disclose their pricing agreements. These middlemen turn a profit, while patients continue to pay a high premium. If pharmaceutical companies aren’t required to explain their rising prescription drug prices, it could eventually make health care unaffordable for many Americans. 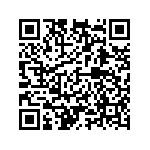 Help us protect the future of health care. As payment and care delivery models shift in the United States from episodic, fee-for-service care toward population health and value-based reimbursement, health care leaders are focused more than ever on patient engagement as a key to driving down costs and improving outcomes. And yet, as so many of us know who have attempted to manage our own care or tend to sick family members, the U.S. health care system rarely feels like it’s been set up to help us succeed. What’s needed is a fundamental redesign of the patient’s role — from that of a passive recipient of care to an active participant charged with defined responsibilities, equipped to dispatch them, and accountable for the results. In other words, we need to view the patient’s role as a job and then design that job in such a way as to drive the best health outcomes possible. Not only is it important to define the role of the patient, it is important to teach patients their role in using health IT in a focused and limited manner, taking care to not overwhelm them with minutiae. This will include developing a routine to examine their portal, and to inquire about devices or functionality to manage their health conditions. Most patient already utilize search engines to educate themselves. Health professionals already use other data bases, such as PubMed, Clinicaltrials.gov and numerous sites such as CMS.gov. The controversy and political infighting challenges even physicians. However patients must not be ignored in the process of revising the system.. This was a major reason for the failure of the Affordable Care Act. No one asked patients what they need. That is a failure of our system. Patient advocates and others who have studied the U.S. health care system have catalogued the degree of “unpaid,” and unsupported, work patients take on in service of their own care. The average, low-risk patient must follow up on referrals to specialists, fill and manage medications, and comply with physical therapy and other regimes. With legacy, pre-internet software systems still the norm in most hospital environments, patients also become unpaid couriers, shuttling critical health data from one provider to the next. It is still common for a patient to arrive at a tertiary or university medical center, expecting the referral physician to have records from the referring doctor. Many have learned that it is mandatory for them to carry written records, MRIs, Angiography, or more to the visit. When applying for disability, the task is even worse. For chronic conditions it is even worse, since agencies want the complete history which may date back a decade or more. It is not uncommon for applications for SS disability benefits may take a year or more and require multiple attempt to achieve success at the process. This is wasteful of patient and professional time and increase costs. For patients who suffer from chronic or complex conditions, as a Mayo Clinic paper recently argued, the “burden of treatment” must be shouldered alongside the “burden of illness.” A 2012 study cited by the study’s authors estimated that the self-management of a chronic illness demands, on average, two hours of patient work each day — work that is often poorly supported, stressful, and frustrating in nature. For all the articles advocating for “patient-centered care,” this is the change that we ultimately must be willing to make: Rather than having patients as passive recipients of care, they must be active producers of their care, in partnership and coordination with physicians and clinical staff. So what are the requirements for getting to that end state? First, we need to acknowledge and account for all the patient work that now goes unrecognized and unsupported. This means grappling with the complexity of tasks patients take on as they seek care across an ever-expanding number of settings — work that varies widely depending on acuity level, disease state, demographics, insurance type, socioeconomic conditions, and so on. But the way we access and experience care has changed. Where we used to have a lifelong relationship with a family doctor, we now switch doctors frequently due to scheduling issues, changes in insurance coverage, and other factors. We’re also more likely to seek care outside the walls of health systems or the boundaries of specific networks — whether it be through urgent care visits, virtual consults, or alternative therapies. And we know that much of what affects our health, for better or worse, happens between visits. Who is accountable for measuring the patient experience over time and across all of these disparate care settings? As we shift toward population health, with provider reimbursements tied directly to improved outcomes, we need to move from managing episodes of care to managing the entire patient journey across the full ecosystem of care. The patient journey becomes the operational backdrop against which patients, physicians, and other staff and caregivers must play their respective parts. If the patient is to have a job in the care-delivery process, we must apply the same principles of intentional work design to their jobs as we do to those of physicians and clinical staff. In a recent Physician Leadership and Engagement Survey conducted by athenahealth with 2,000 doctors, we found that only 20% of doctors surveyed reported high levels of engagement in their jobs. Those who were highly engaged, however, pointed to a few key drivers: trust in leadership and the system, open communication and feedback, and an operationally effective work environment that allows them to deliver high-quality patient care. It’s not a stretch to that patients would be engaged and motivated by the same drivers. The true measure of how well the ACA is working should not be measured by how many uninsured people sign up for it. The press fails to report the deep financial flaws brought about by a congress that passed the ACA for political gain. One of the most litigated questions under the Affordable Care Act (ACA) is whether the United States government owes health insurers that offered qualified health plans (QHPs) through the ACA’s marketplaces the full amount that would be due them under the formula found in the ACA’s risk corridor statute and regulation. At least 17 cases brought by insurers are now pending in the Court of Federal Claims, one of which has been certified as a class action. An additional case is pending on appeal in the United States Court of Appeals for the Federal Circuit. The risk corridor program is, along with the risk adjustment and reinsurance programs, one of the Affordable Care Act’s three premium stabilization programs. It was designed to attract normally risk-averse insurers into offering a new product to a new population with uncertain prospects during the first three years of the health insurance marketplaces. It collects contributions from participating insurers that made profits that exceed certain “risk corridors” and makes payments to insurers whose losses fall outside those corridors. It was only in force for 2014, 2015, and 2016. Nothing in the statutory provision creating the ACA program required it to be revenue neutral. Insurers entered the marketplaces in 2014 believing that risk corridor payments would be made if they were due under the statutory formula regardless of the level of collections. In 2014, however, nine months after health plans had submitted their rates for 2014 and three months after they had begun marketing qualified health plans (QHPs), CMS began to describe the program as budget neutral. Regardless of HHS assurances and CBO projections, the potential magnitude of risk corridor receipts and payments and the effects on particular insurers and markets is highly uncertain. The substantial uncertainty facing insurers participating in the exchanges in 2014 has only been partially resolved as they develop rates for 2015. There remains a real possibility that promised risk corridor payments could significantly exceed receipts for 2014 or later. If so, payment reductions could be problematic for some insurers, especially for smaller companies and/or new entrants.As it turns out, several insurers are now in court suing CMS for losses. Flash forward to 2016-2017. The final accounting for evaluation of 2016 risk corridor adjustments does not occur until July 2017. 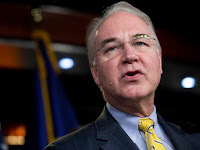 The original final notice included budget neutrality while recent comments from HHS avoid that issue in it's forward looking plan for reimbursing insurance companies for their losses. The scheme is a game of chairs. Now it may all be moot, since President Trump and the GOP congress are about to repeal/amend the Affordable Care Act. Congratulations on your confirmation ! That was easy, and now comes the hard part. If I could speak with the new head of HHS I would tell him many things, however this writer covers most of it . Suneel Dhand writes his message to Tom Price. on KevinMD's blog. "As a physician myself, it’s great to know that a fellow physician will head up the agency. I’m sure you understand too, having been a practicing orthopedic surgeon, how disheartening and frustrating it is to have non-clinical “experts” making key decisions about health care. I’m sure you’ve also seen the news about how your nomination has divided the physician community. Nevertheless, you have the full support of many of our nation’s top physician organizations, including the American Medical Association. I am all for physicians taking leadership positions in health care, industry and — yes — politics. Your resume is hugely impressive. I’m aware of many of your viewpoints. And in the interests of being completely honest, I am not in agreement with all of them — as I’m sure is the case for a large percentage of the over 800,000 physicians in the United States. 1. The cost of our health care system is just unsustainable, as we’ve known for a very long time. 2. 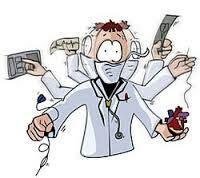 The frontline of medicine has been decimated by excessively onerous regulations. 3. Let’s keep our independent physicians. 4. Let’s foster a health care system that favors doctors (or nurses, or indeed any other health care professionals) in positions of leadership. 5. As you’ve already said time and again, we must always remember that it’s all about the patient and their doctor. This paradigm is central to all health care systems — true patient-centered care. As much as we need to improve, let’s also not forget all of the great things about American health care. We have the most amazing doctors and nurses and lead the world in innovation and research. We can maintain our high standards, while still giving our patients the best possible deal at much lower costs. We can also make our system a great one to work in for our hard-working doctors. This health care ship can still be reversed — especially by the collective efforts of those physicians who all started off with the same call to service and altruistic intentions that you probably did too. Author: Heath Train Express took several liberties in quoting his article for the sake of brevity. The entire article is linked below. Today, 50 million U.S. consumers would switch providers to one that offers telehealth, compared to 17 million in 2015. 60 percent of adults willing to have a video visit with a doctor want to see a doctor online regularly to help manage a chronic condition. The perception of what a visit to the doctor or clinic has shifted measurably during the past two or three years/ . It has become more accepted as an accepted mode of practice by physicians and patients alike. Many clinics are struggling as to how to implement this function to their practice. 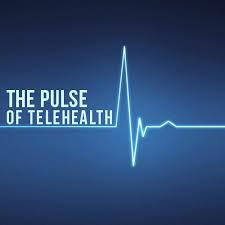 Consumers want to see the PCP they trust and know through tele-health. Twenty percent of consumers said they were willing to switch to a PCP that offered video visits. For health systems looking to retain current patients, as well as bring new patients into the system, making tele-health part of the primary care offering can produce big results. That’s not to say that consumers have abandoned the emergency room but they are open to alternative options of care. This consumer sentiment is driven largely by long wait times and high costs. Health systems can use telehealth to divert resources and costs away from the ER and urgent care facilities and into lower cost options like telehealth. Southwest Medical Associates, a health system based in Las Vegas, Nevada, deploys an in-clinic marketing strategy for its telehealth service, SMA NowClinic. One marketing tactic involves the use of TV screens to post the wait times at all SMA Urgent Care locations—sometimes showing as high as 90 minutes—while another screen reads “Need to speak to someone right away” and promotes the telehealth service. To date, Southwest Medical has enrolled more than 30,000 patients in telehealth and conducted more than 20,000 telehealth visits. 52 percent of adults willing to have a video visit to see a doctor are interested in using video visits for post-surgical or hospital stay follow-ups. It’s estimated that between 15 percent and 25 percent of people discharged from the hospital will be readmitted within 30 days, with many of these readmissions being preventable. Consumers are open to the idea that follow-up care can be done via telehealth. Physicians that offer follow-up care via video may find that patients are more likely to adhere to recommendations since they feel more in control of their treatment. In addition to offering urgent care services with its telehealth service NYP On Demand, New York-Presbyterian also offers follow-up visits so that patients can see their own physicians for appointments that do not require coming in to a clinic or hospital. Today, 1 in 2 U.S. adults have a chronic condition. Treating chronic conditions comes at a high costs for both consumers and health systems, making it equally beneficial to move these reoccurring visits to video. Building specialty programs for conditions such as diabetes, hypertension and congestive health failure—and making consumers aware of the programs—can drive better patient outcomes. Marshfield Clinic, a health system based in Wisconsin, is expanding its virtual care services and envisions providing support to its diabetic population by monitoring blood sugar and offering medication counseling. Consumer thoughts and perspectives on telehealth are becoming increasingly important to health systems, and forward-thinking health systems are using telehealth to determine the services they offer in the future. Numerous companies have sprung up to fill this need. 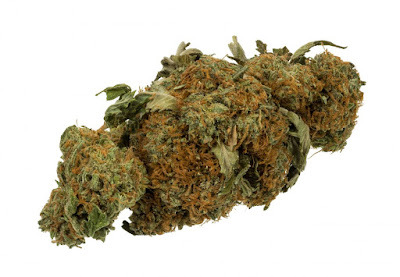 The legalization becoming common due to recent referendums and state legislative actions. Does legalization make it safe? Has the Food and Drug Administration any jurisdiction over it's production or sale. Marijuana is a mood altering molecule derived from a plant. It has been popular as an underground treatment that reduces anxiety and creates distortions of sensory input (particularly visual). It increases appetite, and alters pain perception. In the past regulation consisted of an outright ban on growing and usage. During the past several years many states have legalized it's use for medicinal purposes by requiring a physician's signature. But the chaos unleashed by the executive order also reveals a little-appreciated fact about our health care system: We're heavily reliant on foreigners. They're our doctors, nurses, and home care aides, and they often work in the remote places where American-born doctors don't want to go. In many ways, the health system is already stretched too thin, with scarcely enough people spread evenly across the country to do many difficult jobs. And a letter from the American Medical Association to the Secretary of Homeland Security today spelled out how Trump's immigration policy could make this worse by "creating unintended consequences." Indeed, it’s now clear that health care is going to suffer as a result of the immigration ban, particularly if the current restrictions are broadened to include more countries or different types of visas, as is expected. 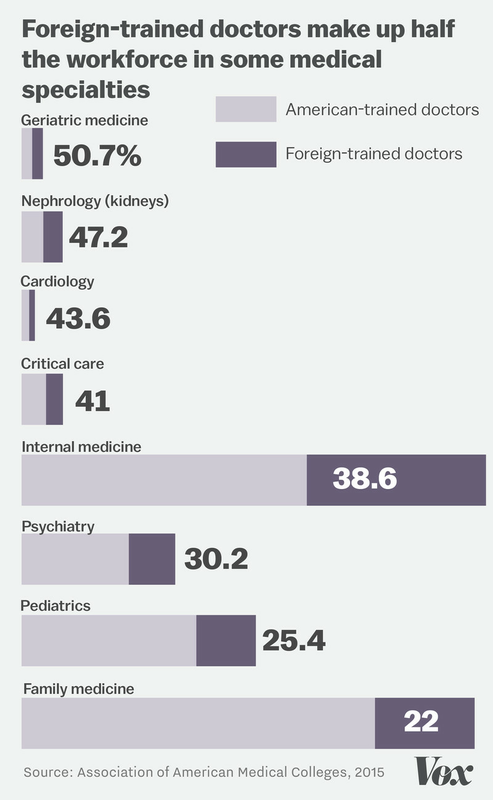 The health care workforce in the US is a lot more international than you might think. Health care currently has the largest proportion of foreign-born and foreign-trained workers of any industry in the country. 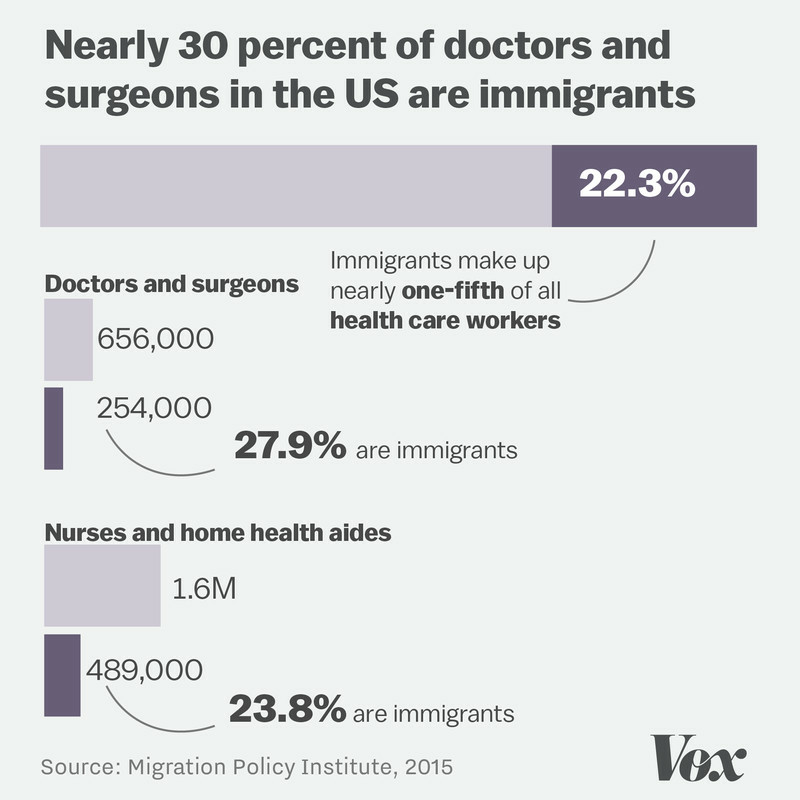 According to 2015 data from the Migration Policy Institute, the medical profession is particularly reliant on immigrant doctors. Of the active physicians and surgeons here, 30 percent are immigrants. 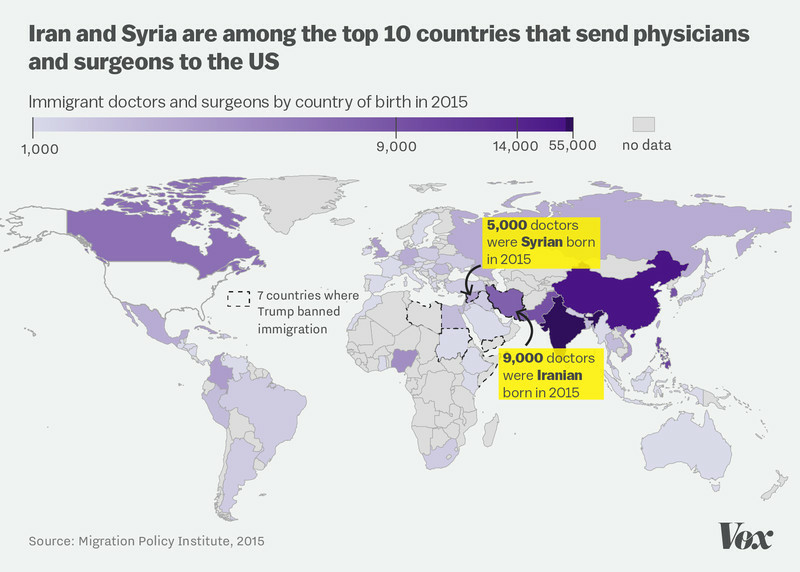 "India, China, Philippines, Korea, and Pakistan are the top five origin groups for physicians and surgeons," said Jeanne Batalova, a senior policy analyst and demographer at MPI. But Iran and Syria, two of the seven countries whose citizens are no longer allowed entry to the US, are the sixth and 10th largest contributors, respectively. "So we’re talking about substantial representation from these countries [in the doctor workforce] here." The ban on these people will likely be felt at hospitals and clinics across the nation, she added. That’s not a huge number right now, Kozakowski added, but it’s sizable enough. "And if you add in the countries that have been tossed in as possible expansions of the ban — Pakistan, Saudi Arabia, Lebanon, and Egypt — that number goes up to 16.7 percent." When you look at the numbers by medical specialty, foreign-trained doctors do a disproportionate amount of the work in many areas. They make up more than 50 percent of geriatric medicine doctors, almost half of nephrologists (or kidney doctors), nearly 40 percent of internal medicine doctors, and nearly a quarter of family medicine physicians, according to data from the Association of American Medical Colleges. Compared with US-trained physicians, foreign doctors are also more likely to practice in areas where there are doctor shortages — in particular, in rural areas. (Many enter the US on visas that allowed them to stay if they work in an underserved area for three years after residency.) They’re also more likely to serve poor patients on Medicaid, the Centers for Disease Control and Prevention has found. "Doctors — especially in rural areas that were the key constituency that supports Trump — tend to be foreign-born," said Nicole Smith, a chief economist at the Georgetown University Center on Education and the Workforce. "The old adage that foreigners are doing the work no Americans want to do even applies to medical doctors." A new study in the BMJ revealed another twist: patients treated by foreign-trained doctors had better mortality outcomes than those treated by doctors who went through American medical schools. The study authors suggested for foreign docs' over-performance might be explained by the fact that they "represent some of the best physicians in their country of origin" and had to overcome intense competition and years of training to finally practice in the US. The foreigners in health care don't just practice medicine, though. The nursing profession is also overstretched and facing projected shortfalls in the coming years, and has come to count on immigrants. Some 20 percent of the health care support staff — including nursesand home aides — were immigrants as of 2015. Besides work at the bedside, the research immigrants do in labs across the country is also under threat. 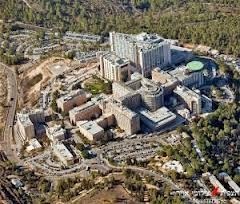 One Syrian medical researcher told Vox he’s afraid that after working in America for more than three years at the Mayo Clinic, his application for permanent residency will now be rejected and he’ll have to leave. Other researchers on visas and green cards from Iran told us they fear leaving the US to visit family or go to conferences should they be barred from coming back home, and that this situation was untenable and had them thinking about alternative places to live. So from the bench to the bedside, Trump’s approach isn’t just going to hurt the health system in the future — it's already hurting it now.